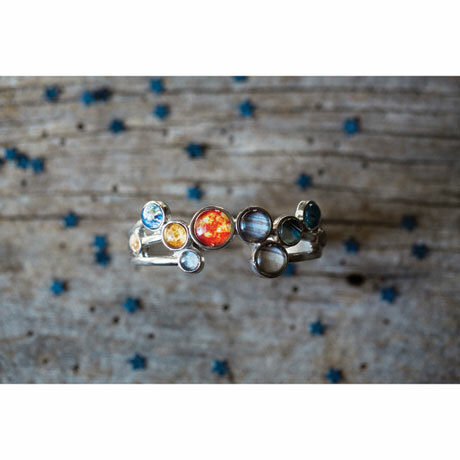 This beautiful silver-tone bracelet features 9 planets in our solar system (yes, even Pluto) and the Sun. 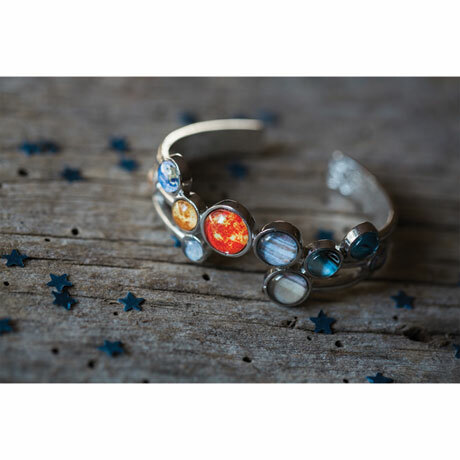 Each is represented by a digital image, bezel set on a adjustable rhodium plated brass cuff . 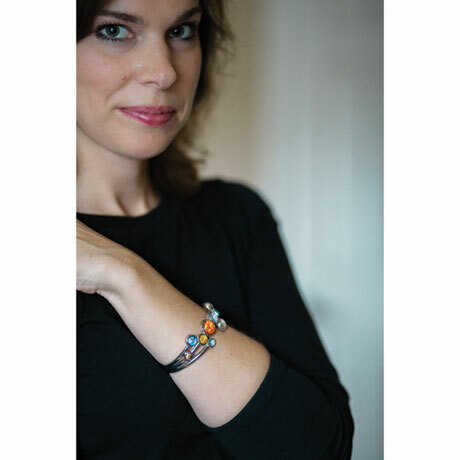 Individually handmade in Maryland by designer Lauren Beacham.